Two late goals by Sam Wilson salvaged a precious point for the Hoops against league leaders Beckenham on Saturday. With Deal trailing 2-0 and facing their fourth defeat in a row in all competitions, the striker picked a timely moment to end his personal five-game goal drought and so deny Becks their 10th win in 13 league matches. 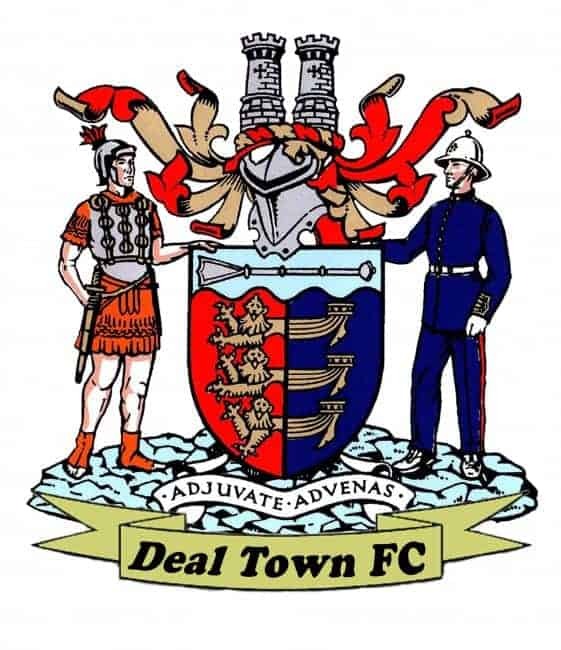 Deal, who had Jake Munday making his debut in midfield after signing on a dual registration basis from Ramsgate, were far from outplayed in the opening 45 minutes but couldn’t match two pieces of clinical finishing by the visitors. The first came after 27 minutes when Billy Bennett’s incisive through-ball set up Jake Rose, and then eight minutes before half-time Eku Dean cleverly worked his way to the byline before drilling in a low cross which Jesse Darko converted from close range. It left the Hoops with a mountain to climb in the second half against a big and powerful Beckenham outfit but Hares’ men stuck doggedly to their task and, with eight minutes left, Wilson gave them fresh hope when he turned in a Steve O’Brien free-kick at the near post. But, having used up all their substitutes, Deal were reduced to 10 men soon afterwards when Luke Bigginton limped off injured, and with the Hoops still trailing two minutes into added time another defeat seemed certain until the Wilson-O’Brien combination paid off again. This time the striker glanced home another pinpoint free-kick from his team-mate. Deal: Tonkin, Scott, O’Brien, Maughan, Smith, Foster (Bigginton 60), Munday, Cardwell, Wilson, Rodgers (Alexander 25), Reeves (Coyne 73). After scoring the first goal it was good to see the belief that there was more to be had from the game, and so it proved, competing to the end had it’s reward.